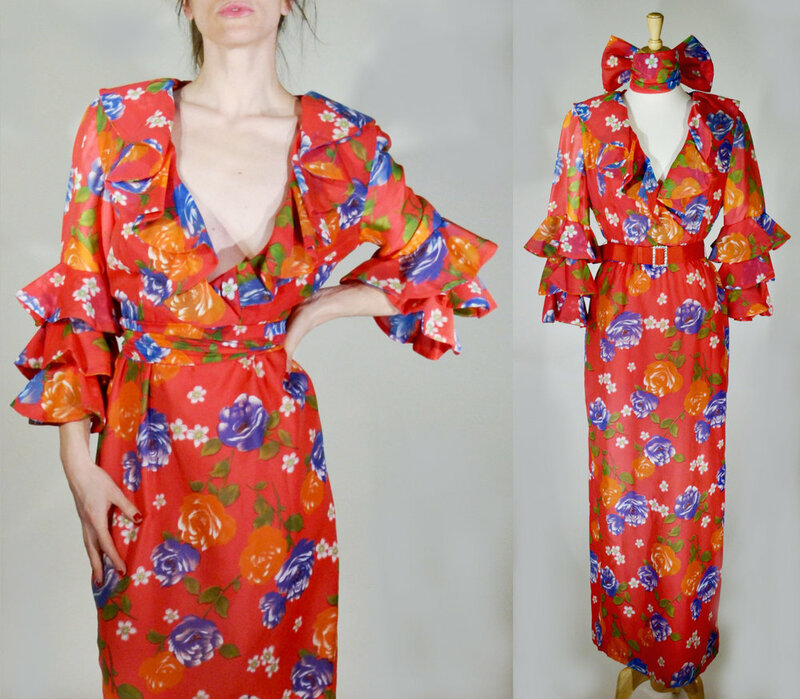 Please scroll down to see the 1970s Tiered Ruffle Sleeve Dress modeled and in greater detail. Materials: There is no label, but I suspect polyester with a nylon lining. Colors: Tomato with slate, white, and soft orange. 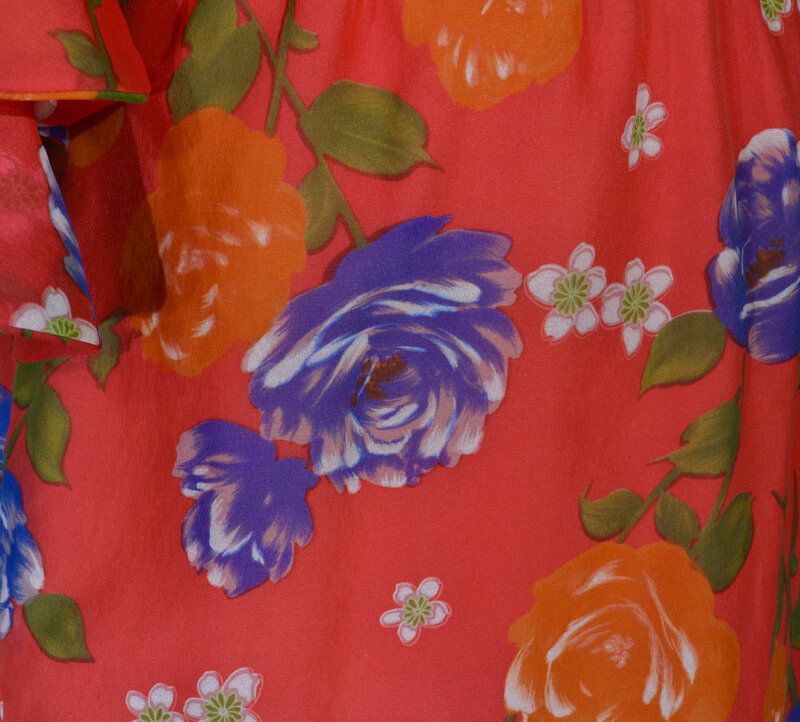 This spicy number is in great shape and ready to strut! Includes a grosgrain belt, with rhinestone slide buckle, and matching belt/scarf. Grandmama's old adage about keeping one's shoulders back will serve you with this dress; the collar's steep dip is affected by the relatively small bust/broad shoulder combo. Purr alert: 20.5" slit up the right side leg.